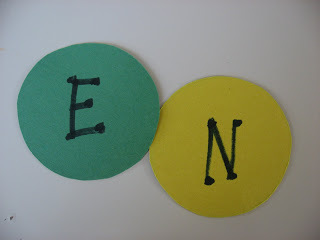 This is an easy and fun way to practice learning the letters in their names, or you can number the sections and have your preschooler put the numbers in order! Gather your materials. 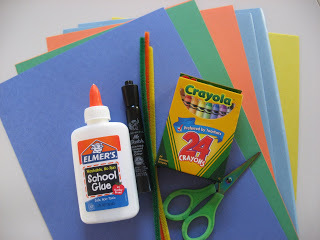 You will need some constriction paper, something to trace a circle with, crayons or markers, a pipe cleaner, tape , scissors and glue. 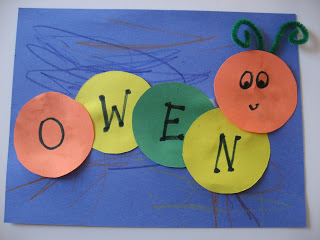 Start by tracing and cutting out circles in different color construction paper , you will need one for each letter, and one for the face. 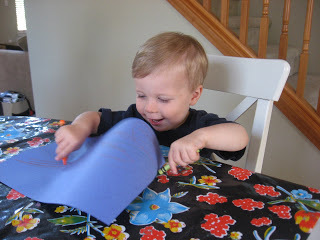 Give your child a full size piece of construction paper and have them color it, they can draw a cool backyard scene or something more abstract! If your child is able have them write the letters, even if they are messy and too small or to big- it’s more important that they do it if able and it not be perfect than us stepping in and doing it “right”. 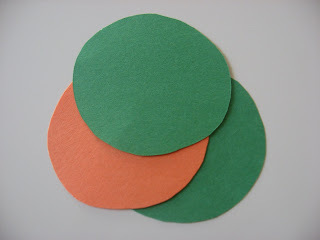 If your child is not writing yet, while they color write out the letters, and do a face on the extra circle. 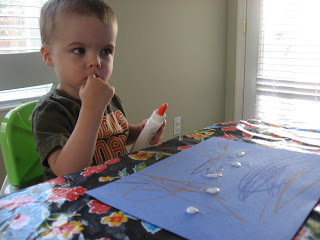 Spread some glue on the background paper. Pop the letters on. * Sorry no picture, it was an art playdate and I was talking too much and forgot to take a picture of this step ! Tape it to the back of the face circle. The next 3 verses substitute in brother, mother and father. ” Bugs! Bugs! Bugs!” by Bob Barner is a good book for little ones interested in bugs, but not ready for a full non fiction science book. Various bugs are introduced with a fact about them, and the coolest part of the book is the page with the life size illustrations of all the bugs. 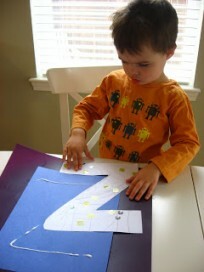 The illustrations are bright and fun and the length is perfect for toddlers and young preschoolers. 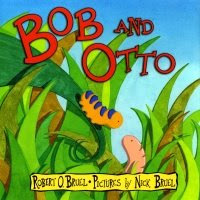 ” Bob and Otto” by Robert O. Bruel is a lovely story about 2 friends who must part ways , in this case because one is a caterpillar who needs to build a chrysalis and the other an earth worm who needs to dig deep into the ground. What I like about this book is that it goes on to explain that the earth worm’s digging is vital for the trees to grow so that the caterpillar can eat the leaves and turn into a butterfly. I like the lesson about how we all play a part! 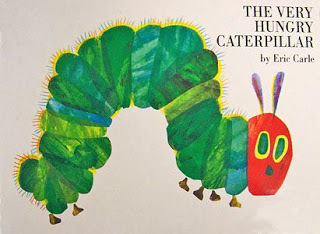 ” The Very Hungry Caterpillar” by Eric Carle is a classic, that most preschool teachers like myself can recite from memory. It really is a fantastic book, not only does it explain the life cycle of a caterpillar/ butterfly it also is useful for lesson about day of the week and healthy eating! It was a childhood favorite of mine and if the fact that he fell asleep holding his ” Pillar” is any indication it is already one of my son’s favorites too! I’ve just recently discovered your site and wanted to say thank you. 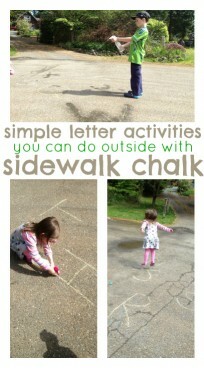 My daughter loves the book “bugs, bugs, bugs” so this will be a perfect activity for us to do! I just found your site & must say I totally love it!!! I have a soon to be 2 yr old & I am an elem teacher (who sells cable for a living but I digress). These ideas are fabu! I so just bookmarked your site! We’re making these tomorrow! Thank you! We just did this today – for the Unplugged Project theme of “insect.” My daughter loved it – and she loved looking at this one as to how to make hers. Thanks for the great idea! We are doing this! 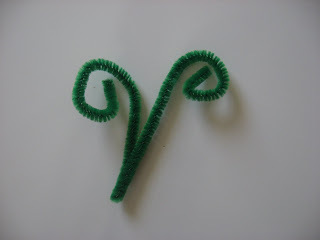 We made these as part of our insect unit and my kindergartner loved it! Thanks!